The whimsical dessert table at a princess themed baby shower photographed at the Viceroy in Santa Monica. 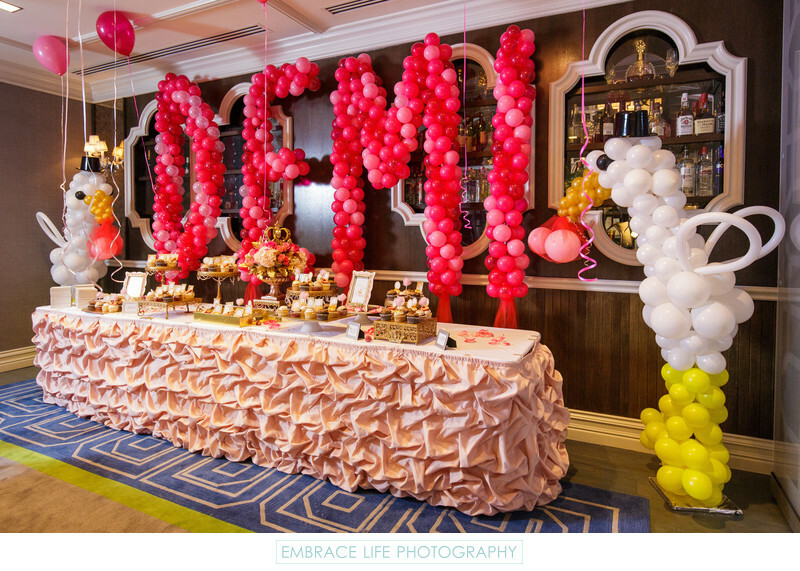 A large, red and pink balloon sculpture spells the baby's name, and two stork balloon sculptures surround the table. Desserts are artistically displayed on ornate gold cake stands and the table is covered with a blush pink ruffled linen. Event photography in Santa Monica, CA often includes spectacular decor like such as this fun baby shower.